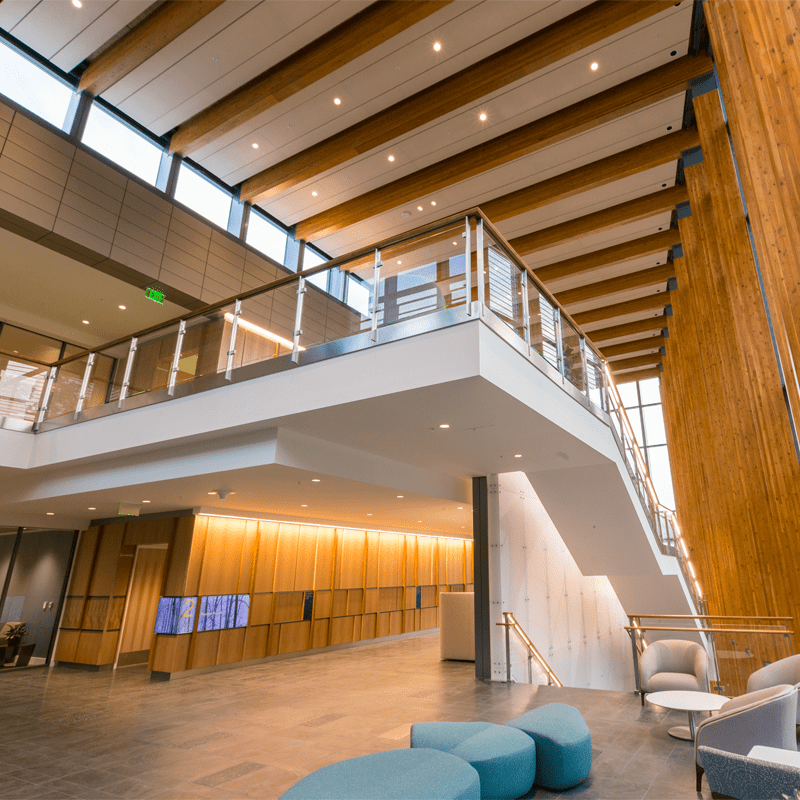 Gilbane took an innovative approach to the construction of the new Student Wellness Center which was designed to visually and physically bring the outside in and integrate the building with the surrounding forest to create a welcoming community environment for well-being. Duke University selected Gilbane to provide construction management at risk services for the new Student Wellness Center. The three-story, 72,000 SF building is designed to bring together the University wellness services and resources under one roof to create a holistic and integrated approach to individual wellness. The complex facility was designed and built to create a space where students and community members can focus on their individual wellness by looking at the integration of many areas of their life including financial, social, spiritual, intellectual, mind-body well-being and the environment around them. The modern building is warm and inviting and offers more open features that are less clinical in nature. The design brings the outside inside with views of the Duke Forest and use of natural wood incorporated into the furniture and wall panels that was locally sourced from the trees removed from the site during construction. The facility was designed to be a place for healing centered around well-being and the use of a glue laminated (glulam) structure represented an extension of the forest behind it. Before construction began, an impact study was conducted to determine how to maximize the amount of forest that could be saved around the construction project. Select trees were then removed from the site to create just enough space to build the new facility. 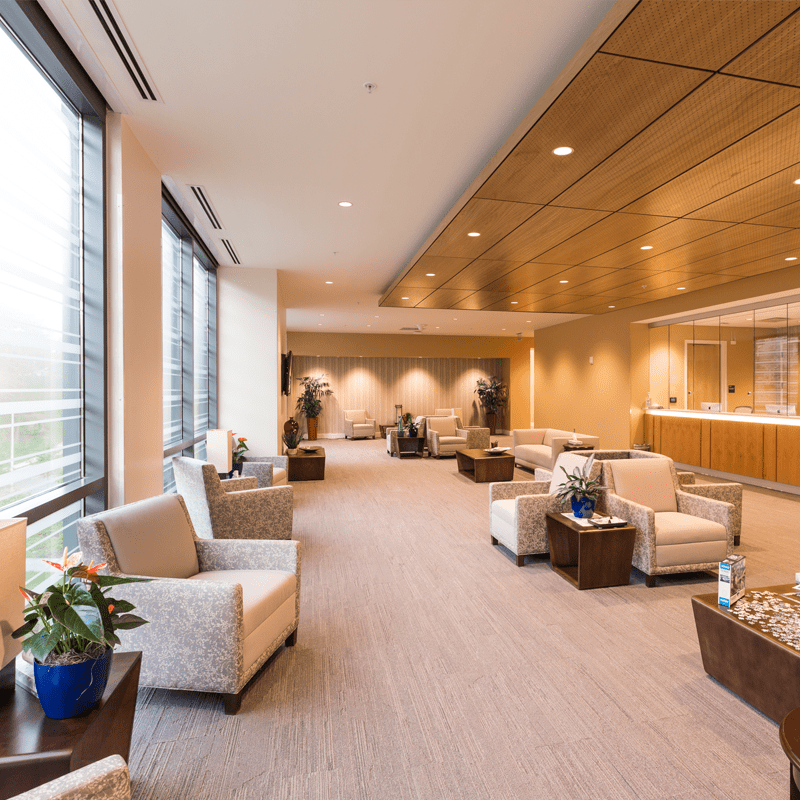 Those trees were then reclaimed and reintegrated into the building through use in wood veneer for furniture, decorative wood wall paneling and whole-tree benches. The wood wall paneling along each story of the atrium depicts an image of the forest with the first floor image showing the forest at floor level and the third floor showing the tops of the trees. Plaques throughout the building provide an education opportunity with information about the reclaimed wood and the forest outside. 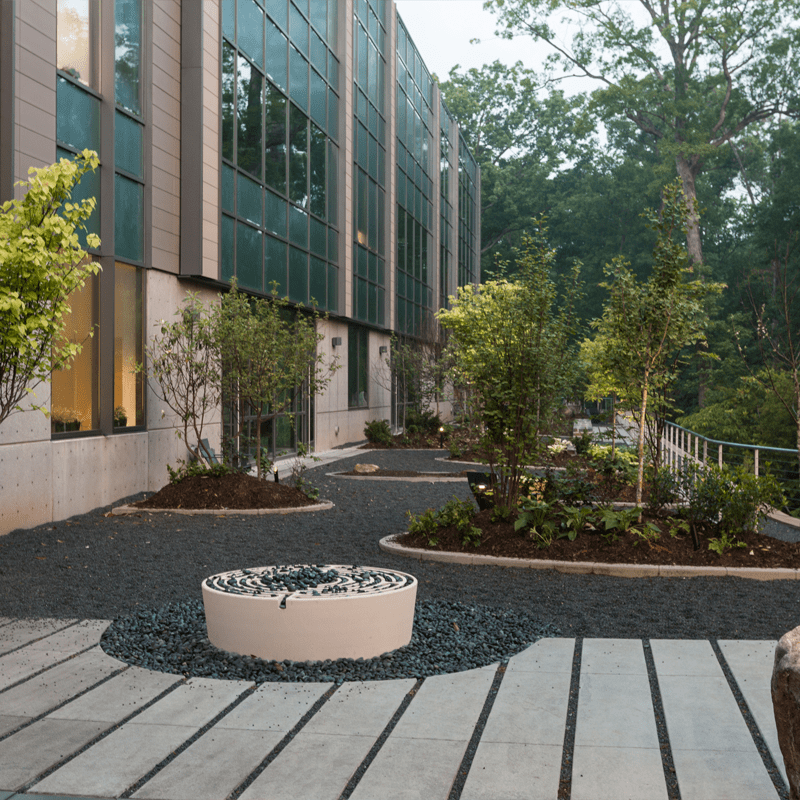 A highlight feature of the building is the outdoor meditation garden that overlooks the Duke Forest. The gardens include a zen garden, yoga platform and walking labyrinth. Built on an extremely tight site and located on one of the busiest and most active areas on campus the project team was challenged to maintain a safe pedestrian environment for students, faculty and visitors. Gilbane addressed site safety by proactively developing best methods of constructability one year before construction began during the preconstruction phase. The many phases and changes to the Student Wellness Center site and adjacent project sites yielded more than nine iterations of the site utilization plan throughout the construction phase. The coordination was driven through the active participation and teamwork from Gilbane, Duke and the subcontractors to precisely coordinate and implement multiple traffic control plans throughout construction that included flagmen, temporary traffic control signals, temporary lane closures and additional signage for pedestrian wayfinding. 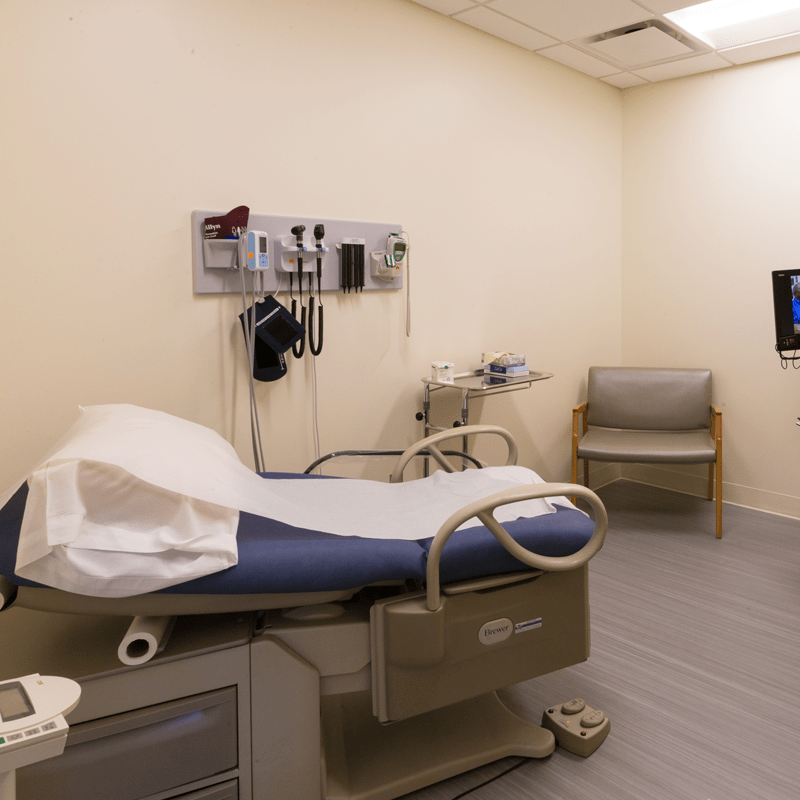 These plans were coordinated with Duke’s risk mitigation program and submitted through the Duke Alert system to notify faculty, staff and students of any changes.